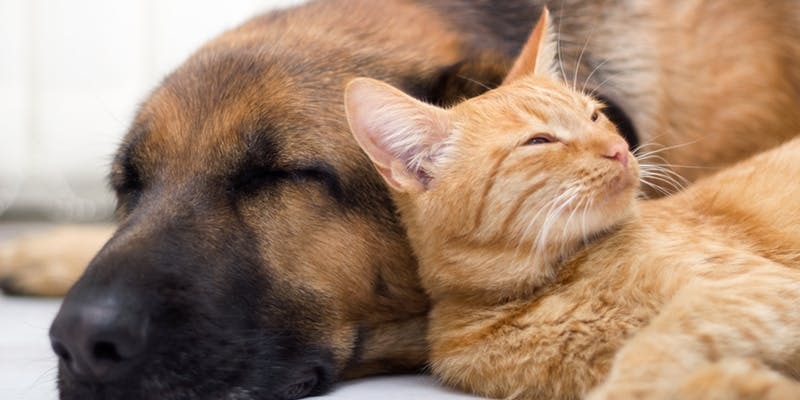 Every single person in this world has a concept in mind that Cats and Dogs are worst enemies of each other.Well, this statement is true to some extent, as there are several examples of some breeds of cats and dogs living together under the same roof. No doubt that these both are totally different types of animals with no similarities in them, even their way to react over something is different as well. 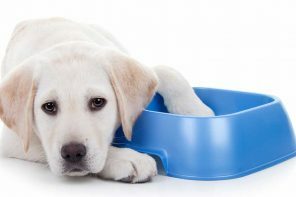 We can easily observe that most pet dogs are jolly and active, on the contrary cats are usually dull and lazy as they just love to eat and sit at a single place rather be running around the house. 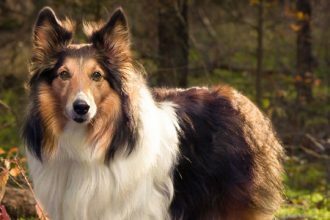 But if you wish to keep them both together then for sure a question will arise in your mind that How to Introduce a Cat to a Dog? 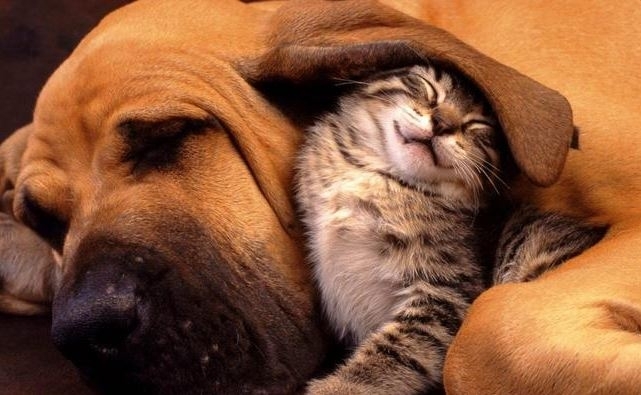 As you know that the nature of both animals are dissimilar so you need to be really careful in order to get them both along.First of all, you need to know that cats do not like many companions, as they like to stay alone, while on theother hand dogs usually stay in a pack, and always need companions with them. In short, both of them likes to have their own territories or space inside the housewhere they can freely stay together.And you have to ensure that none of them tries to take space of each other. 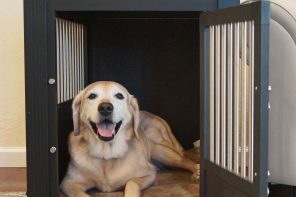 Then it is obvious that the pet who is already inside your house will not accept the new coming pet easily. So whenever you bring a new pet to home, the very first thing that you need to do is to introduce them. And this will be the moment of truth to let you know that if they both are going to live friendly or as enemies. Cats usually scratch a lot anything that they see, so make sure that cat nails are cut properly. As this will not just protect your pet dog but also yourself as well. The next step is to provide both of them with their own comfort zones. 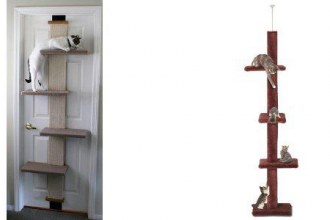 And for that, you need to put separate stuff for both of them like food trays, litter box, and beds. 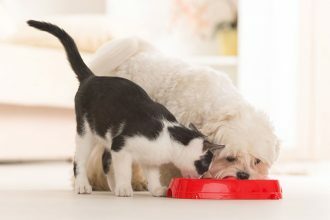 After that, you need to make sure that while both of them are playing, none of them gets aggressive.Usually, the old pet in the house wants to declare that he is boss, but that is your duty that to let them know you are the boss of the house, and they have to stay here in a friendly manner. Cats are usually more aggressive than dogs, and their mood can be changed at any instant, so make sure that cat is getting what she likes. If the first introduction went really well, then it is a positive sign that a future meeting will also be as peaceful as the first one. So try to let them meet and play with each other under your supervision. And the most important part is the smell of each other, so before you bring a new pet to the house try to get the older to get familiar with the scent of the new pet before meeting him. 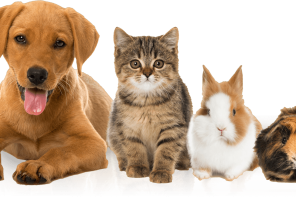 Previous articleWhy Pet Health CBD Oil is Necessary For Your Pet?